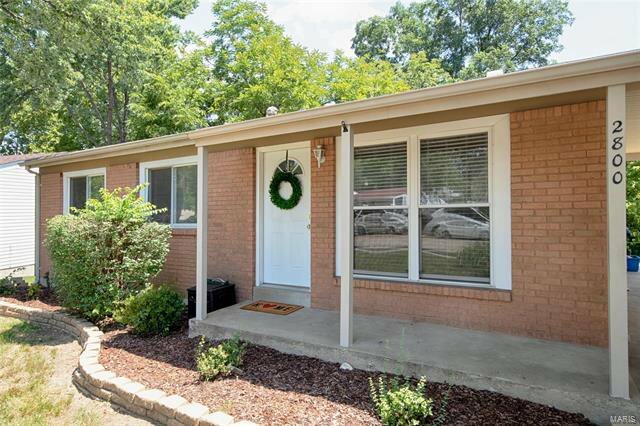 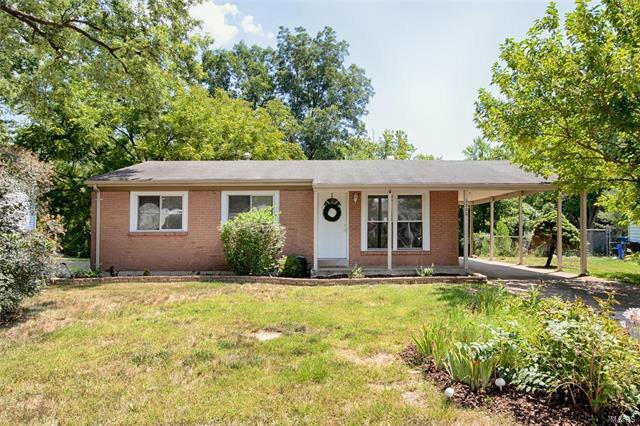 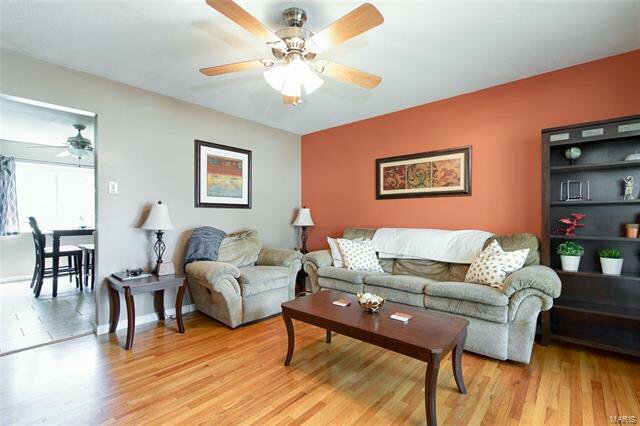 Welcome home to this MOVE-IN READY 3br/1.5 bath ranch in Pattonville school district. 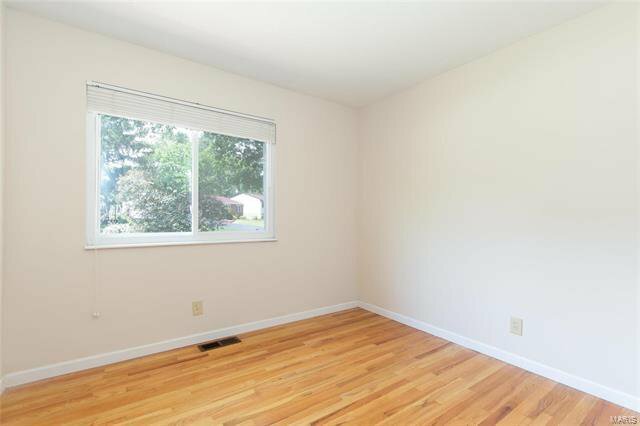 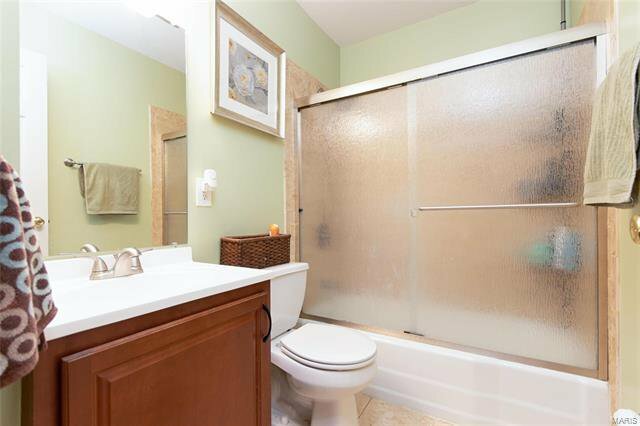 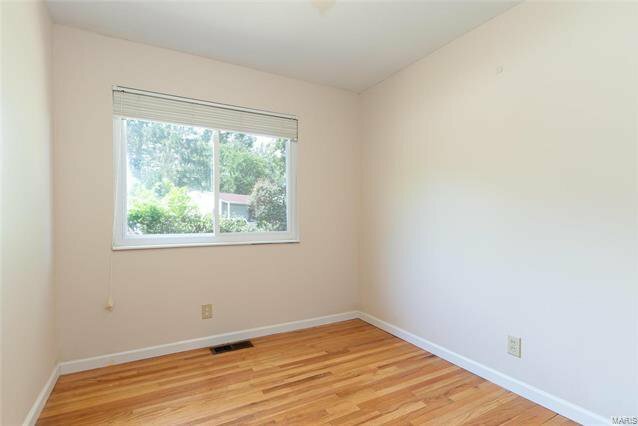 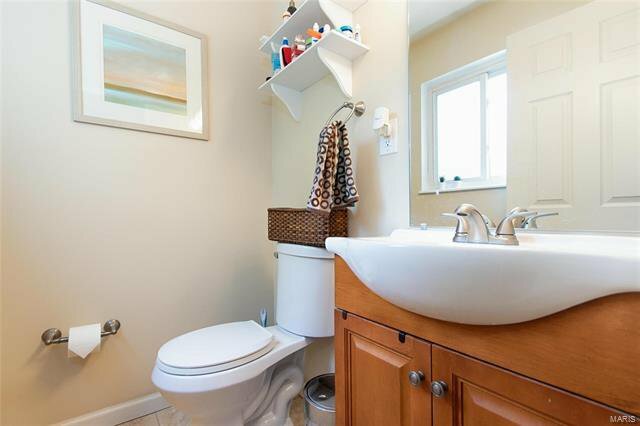 HARDWOOD floors throughout main level living areas and ceramic tile in bathrooms. 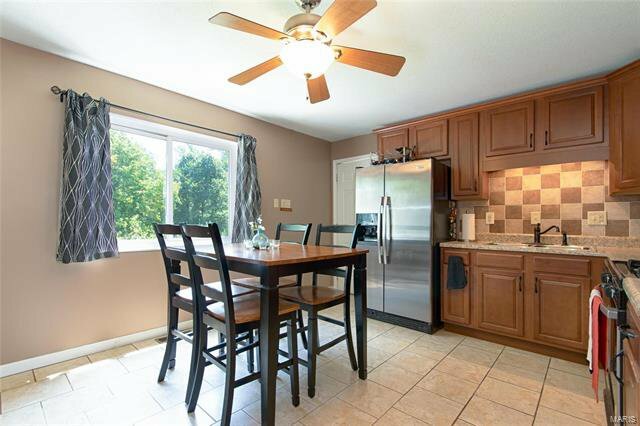 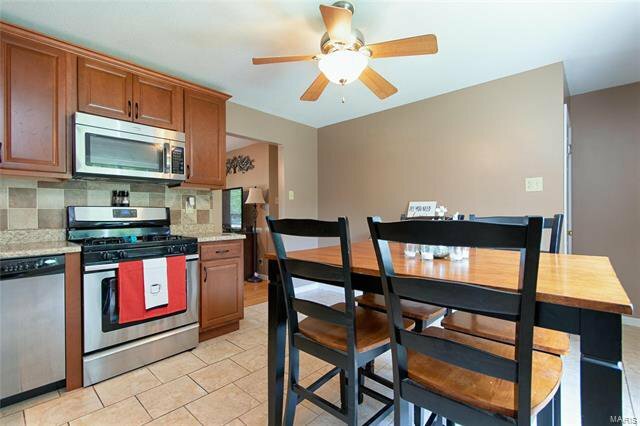 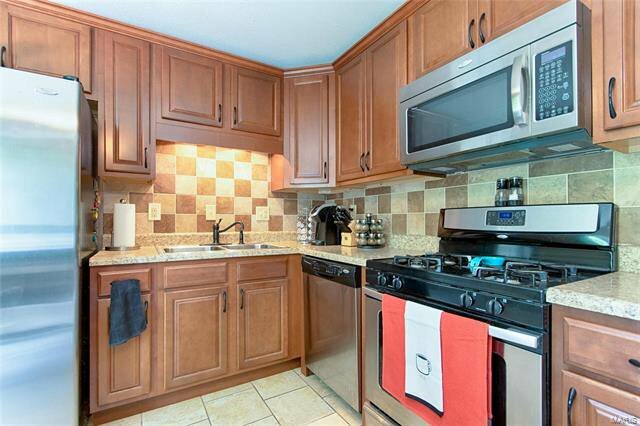 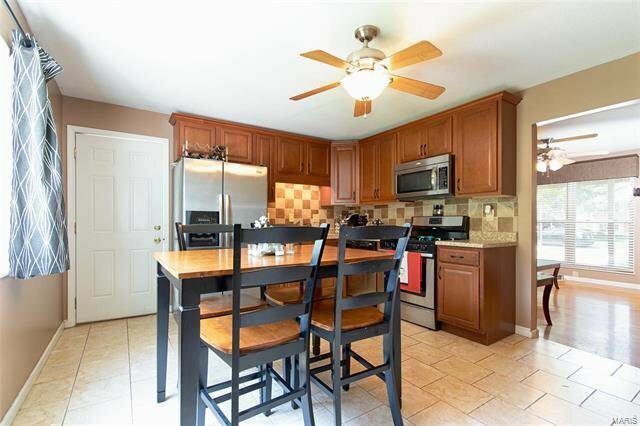 UPDATED KITCHEN features custom cabinetry, stainless appliances, ceramic tile, and backsplash. 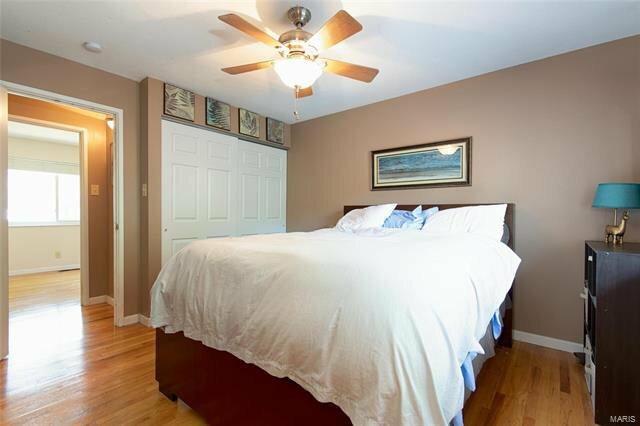 All bedrooms feature large double door closets. 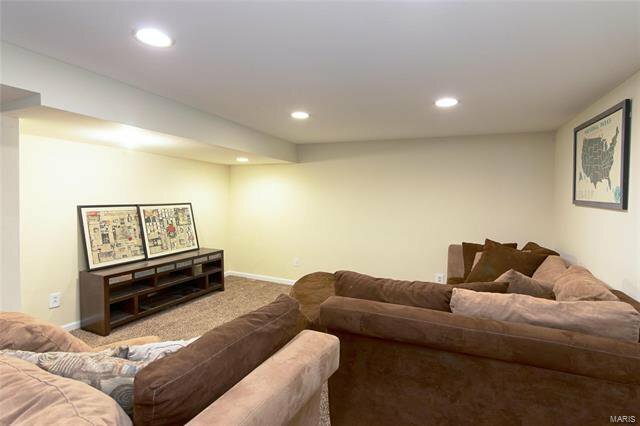 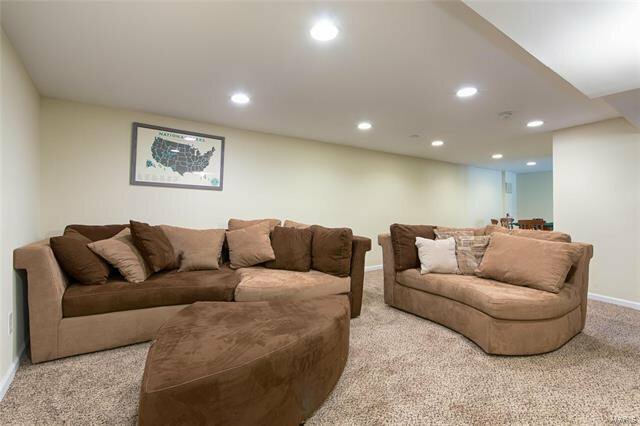 Partially finished WALK-OUT lower level features a large family room and rec area with RECESSED LIGHTING. 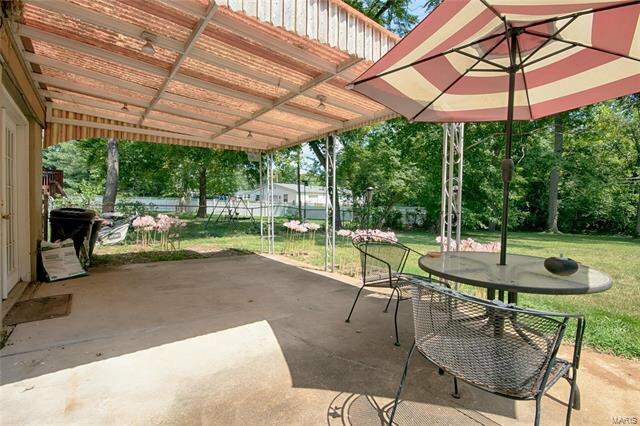 Unfinished side includes laundry and space for storage. 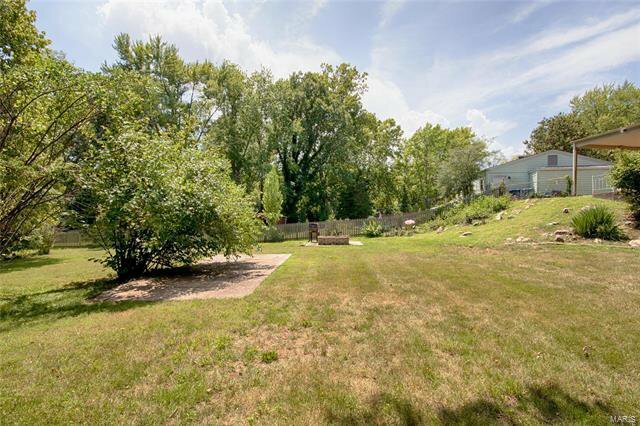 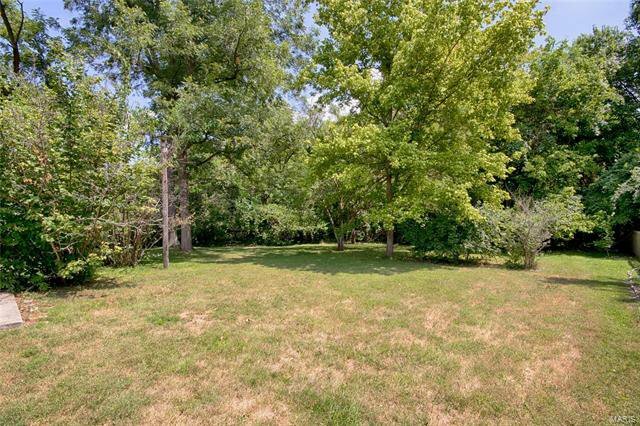 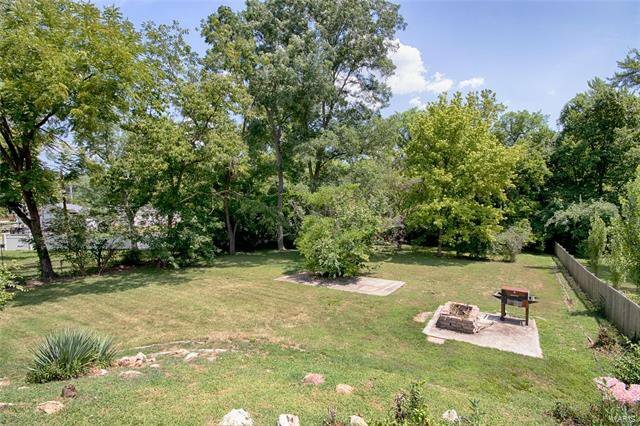 Walk out to one of the LARGEST LOTS in the subdivision which BACKS TO WOODED AREA. 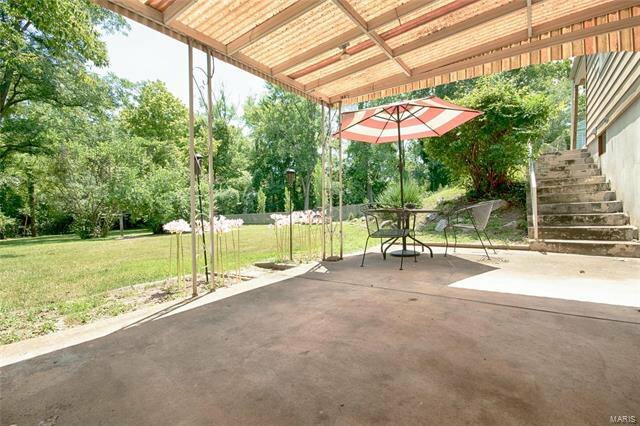 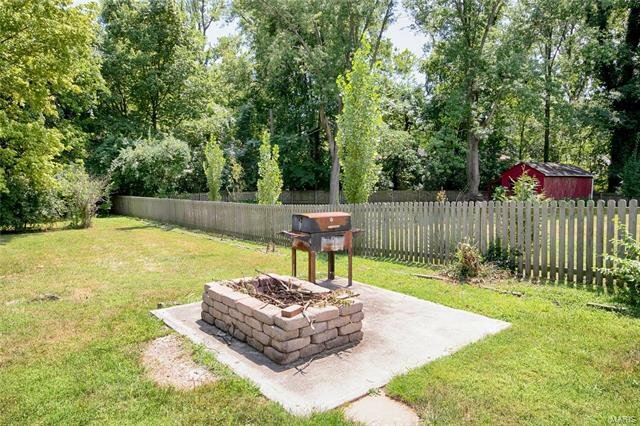 The yard is over 1/3 ACRE, and mostly fenced, allowing plenty of privacy to enjoy your COVERED patio and entertaining areas, complete with a FIREPIT! 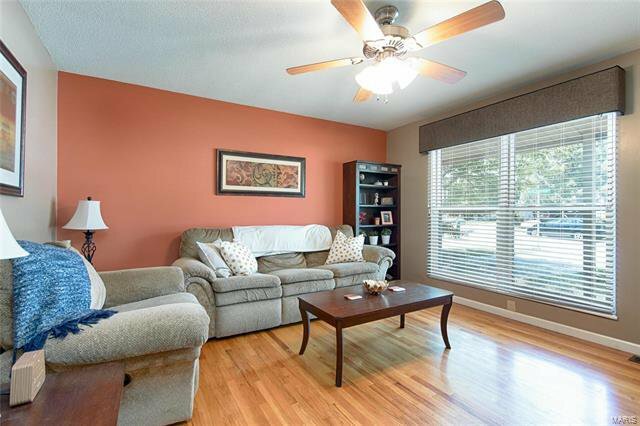 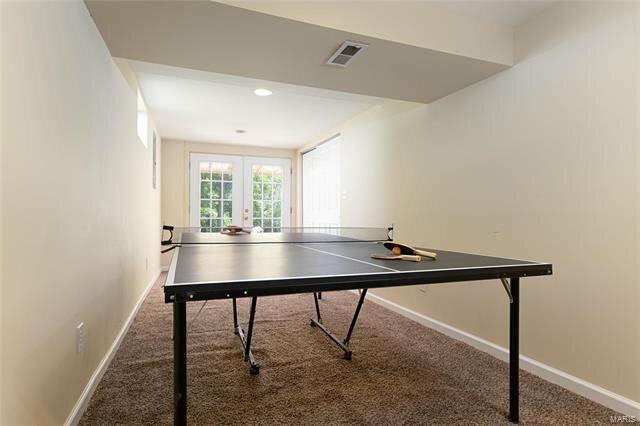 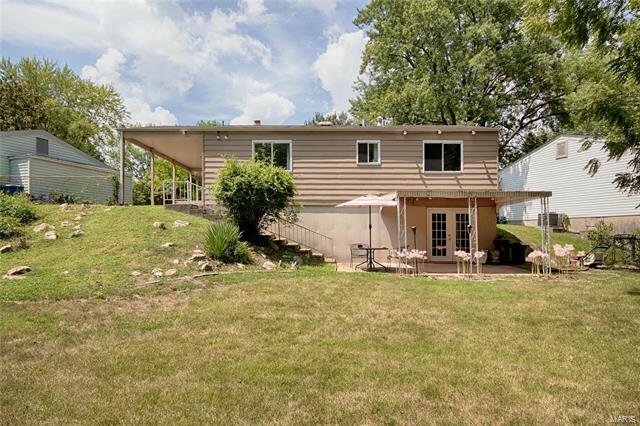 Schedule to see everything this home has to offer and enjoy all the amenities the city has to offer as well - community center and waterpark, award winning Pattonville school district, parks, shopping, and restaurants!